Looking For Alaska is a New York Times bestselling novel written by author John Green, published March 2005. Miles Halter’s whole life has been one big non-event, until he meets Alaska Young. Gorgeous, clever and undoubtedly screwed up, Alaska draws miles into her reckless world and irrevocably steals his heart. For Miles, nothing can ever be the same again. Looking for Alaska is a book that greatly captures the pain and joy of living and loving. The story starts with Miles, an average teenage boy about to start college. 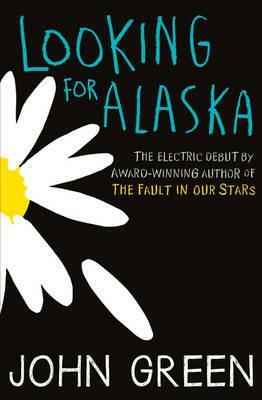 Everything seems ordinary until he meets Alaska, and that is when the story truly begins . Miles joins a crowd who unmistakably take him down the wrong path but he doesn’t seem to care. Miles only cares about Alaska, a teenage girl who already has a boyfriend. Yet Miles finds himself slowly falling for her, and she starts to fall for him. And then in one night nothing is the same again. I found this book heartbreakingly beautiful, and this story will stay with me forever. The book is written in a way I have never experienced before as the chapters seem to count down then count up from the main event in the book. I found this book hard to put down as I had to keep reading what I was counting down to. One of my favorite quotes from the book is “How do you get out of the labyrinth of suffering?” I feel its expresses Alaska’s feelings about life perfectly. This book is a breath-taking book with a hard message throughout. An extraordinary read.